107 Years Later; Are You Prepared? 107 years ago at 5:11am, San Francisco and surrounding areas experienced, a 7.9 earthquake which destroyed over 80% of San Francisco and took over 3,000 lives in it’s aftermath. If you are awake at that time 5:11am, bow your head in remembrance if you care to. If you are up a bit later in the morning do not be surprised to see groups of uniformed folks going door to door in certain neighborhoods. These folks are our neighbors, members of our volunteer Community Emergency Response Team SSF CERT performing the annual Silver Dragon Drill. They will have proper identification and any questions can be directed to SSF Fire Administration. The drill will exercise the ability of the CERT teams to get information or emergency supplies into an area after a disaster. The CERT program had been revived under Fire Chief Phil White a decade ago and is now one of the model groups in California. Complete with over a dozen ham operators and monthly meetings to hone skills taught through the Fire Department, CERT members also volunteer with other city activities including traffic control and other organizational duties. 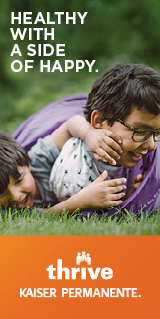 The class information can be found on the SSF Leisure Guide booklet or contact Parks and Rec. The CERT members, along with the leaders Ken Anderson, were recently recognized by our City Council. Our community will also be honoring Chief White as he sets upon his retirement at the end of this month. We have been fortunate to have had Phil as one of our city leaders and the advancements he has brought to our department as Chief and to our community for the past 30 years. Thank you Chief and enjoy your well deserved retirement. 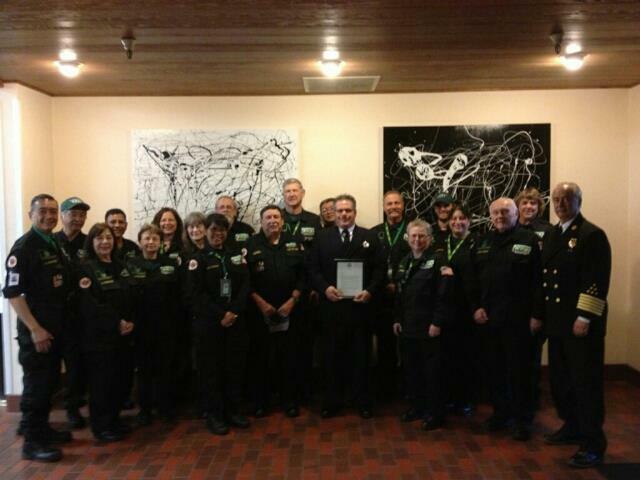 Photo: Chief Phil White and CERT Director Ken Anderson with the SSFCERT after being recognized by City Council.